Name the Drag Racing Movie that this Henry J was in! 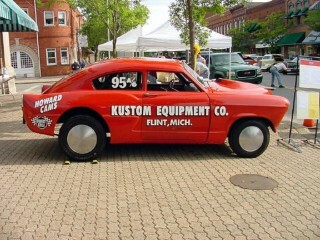 Hint the movie showed this Henry J at the 1959 Nationals in Detroit. 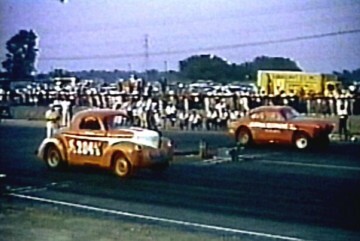 Bill Parker in the A/Gas Coupe VS. Bill Waddill in the Henry J.. Here is Jerry Coale's car today in the process of being restored to the way it was in 1959. Here is a short clip of the movie were Bill Waddill's Henry J was shown. Can you Name the Movie? Click here to see more information on this car. If anybody gets this, everyone will be impressed with your Henry J Drag Racing knowledge.